Everyone makes financial decisions every day, but very few make choices that align with their financial goals in life. Often, people mistake investing in stocks or buying insurance as personal financial planning. Sometimes, people also confuse accountants or financial product agents as financial planners who can help them plan for their financial future. Many people grow up without a proper financial education because personal financial literacy has never been part of our general academic curriculum. So no matter how well-educated you are, if you don’t have the right financial knowledge, you are most likely to rely on misguided beliefs about money. If you are living paycheck to paycheck, you may feel that you don’t have enough savings to start with and, therefore, it would be useless to do financial planning. The truth is that you don’t have to accumulate so much money before you begin investing. You can invest as soon as you are able to save. You can invest in any reputable mutual fund for as low as Php1,000 on a regular basis, like once a month, or you can choose any promising blue chip stock to buy shares with a fixed investment budget monthly. When you see how your money grows, you will be more encouraged to save more money and invest. Maybe you may also find other ways to increase your income so you can generate more savings for investments. In financial planning, it is not enough that you save and put all your money in the bank. You need to invest and grow it. You may not see the need to do financial planning because you are already earning well from your job or from your business. 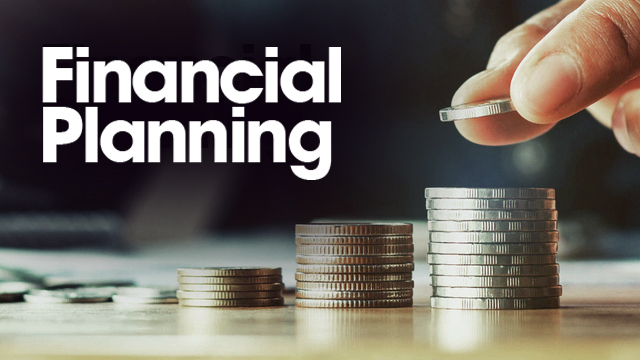 The truth is that the more money you have in the bank, the more you need to do financial planning because you want to secure and grow it to be more productive. We have seen people who suddenly became rich because they inherited a huge sum of money from their parents or relatives only to lose their fortune later due to mismanagement of finances. This is also very common in people who win millions from lotto jackpots or those who become instant celebrities in sports or show business, falling to financial problems and losing their wealth years later. Many people use their ignorance in finance as an excuse to avoid financial planning. Some people find the mechanics and terminologies of investment too technical and intimidating and prefer to put their money into bank savings that is easy to understand and manage. The truth is that anyone, regardless of academic background, can do financial planning for as long as they understand the process. If you are not comfortable with numbers and don’t have a business degree, you can hire the help of a competent financial advisor like a Registered Financial Planner (RFP) who is professionally trained to guide you to create your financial plan. But don’t make the mistake of outsourcing the financial planning to an expert without understanding the process. You need to know how the plan is made and what assumptions were used. If you feel you need to learn more, you can take short courses or training to become more familiar with the intricacies of investing. The more you learn, the more confident you become. When you are more knowledgeable, you will appreciate why putting your money in easy-to-understand bank savings is not good because you have better opportunities to grow your money elsewhere, especially in times of rising inflation. The lack of money should not be a reason why you should not look for ways to earn additional income. The truth is if you have the skills, the motivation to succeed and a promising business idea, you can always find ways to raise capital you need and get the right people to help you. You can innovate something out of an existing business and pitch your idea to people who may be interested to put money into your project. You can also leverage on other people’s money, as well as expertise and time to expand the business without necessarily shelling out your hard-earned savings. It is not true that it takes money to make money. If you have the leadership skills to execute a good business idea, you can certainly make money and generate additional savings without spending a single peso. Money is not the root of all evil. If you are religious, you would probably feel guilty when you find the need to earn more money. Some people would tell you that money can’t buy happiness. The truth is money is a tool that enables you to achieve your goals in life. It is the lack of money that is the root of all evil. When people are hungry and don’t have the means to survive, they resort to crime and commit all kinds of evil activities. And when greed becomes the problem for some people, it is the love of money that is the root of all evil. Our attitude towards money and not the money itself is the heart of the issue. When you have money, you have more options that allow you to enjoy a better quality of life, especially when you get older. Being financially secure makes you happier than those who are not and have limited choices in life.